So, have you watched higurashi? Wheter or not violence and horror is your thing, it deserves a look due to its engrossing story and characters. 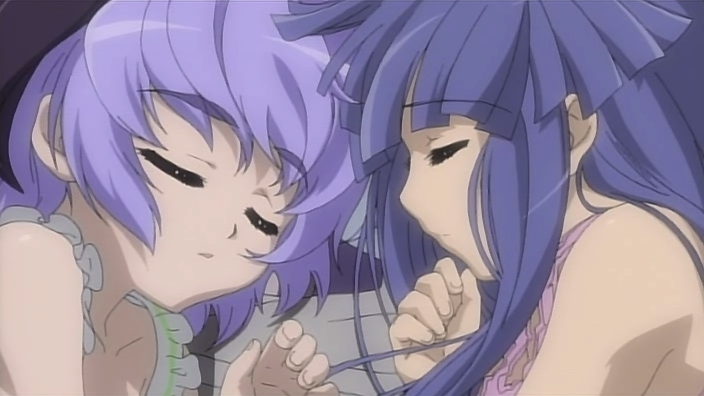 After the ending of Higurashi no naku koro ni, there was no doubt that there would be a second season, so here it is. As expected, higurashi no naku no koro ni kai delivers the same gorey, horrifying and splendid storytelling that its predecessor possesed, however, the story arcs now tell less gruesome tales than in vanilla higurashi. This is both a good and bad thing. In a way it looses some of its touch, but this time, the story provides some more satisfying solutions than it did in Higurashi no naku no koro ni. So how is the anime as it is now? Not to worry, koro ni kai is still a splendid anime worth the time of everyone who watched the first season. I loved Higurashi no naku no koro ni (the song), and I expected the same style for the song used in its successor. Sadly naraku no hana isn't as creepy or atmospheric as higurashi no naku no koro ni. It starts off slow, and soon gets into its own atmospheric mood, but isn't as memoriable as higurahi no naku no koro ni. Its still an alright song though. The ending.....lets leave it at that, these songs are always too boring for me listen to. Higurashi no naku no koro ni kai is a great sequel to vanilla Higruashi. The only reason why the score is slighty lower is because seeing all these isn't as exciting as we all first saw it in vanilla Higurashi. But don't fret, these events in koro ni kai are still excellent, and watching them unfold is still a great feeling. The entire season feels like a huge solution to the 1st season, and as your questions carried over from season 1 slowly get answered as the show goes on, it gets even more interesting. The true meaning of the hinamizawa syndrome.... Rika's travelling between timelines...its all just too engrossing and intruiging to give up watching. Introducing our cute little newcomer, Hanyuu! Koro ni kai still stars our usual characters from the previous season, but the spotlight this time kind of shifts from keiichi to Rika, our little timeline shifting goddess. This seaons talks more about Rika as she unravels the mysteries of the cotton drifting festival, as she grows frustrated from being unable to find the "true" timeline where everything goes right. Having travelled through tons of different timelines, all of which ending up with people dieing in previous ways seen before, she is growing desperate. As she communicates with the bystander and true god of hinamizawa, hanyuu, she shares with her the experiences she goes through, and how she constantly tries to seek out the "perfect end". 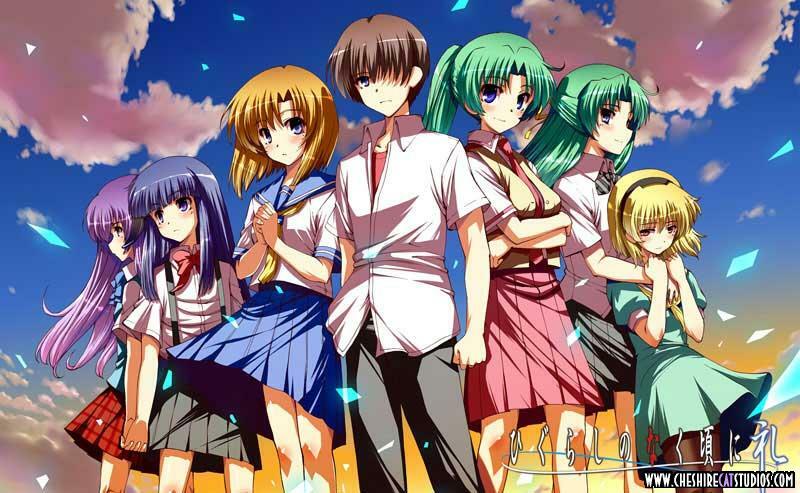 Higurashi no naku no koro ni kai is a wonderful followup and a perfect conclusion to the series. 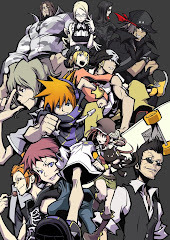 Im not sure about kira and all the weird spinoffs, but Im sure koro ni kai is the legit conclusion to the main story. 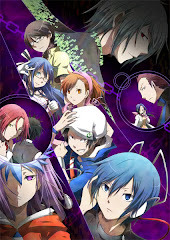 Its a great anime and should easily satisfy those who watched vanilla Higurashi. The plot is as engrossing as ever, and the sense of thrill and suspense still hangs over the air as you watch it. 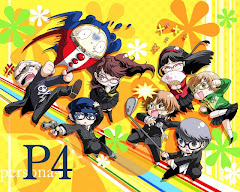 Hell, I watched 13 episodes in a row to finish the final arc (I usually only watch 3-4 episodes of an anime at once). All in all, theres no reason not to watch this if you watched vanilla higurashi, and if you havent watched that one, go watch it now, its thats not worth your time as an anime, I dont know what is.